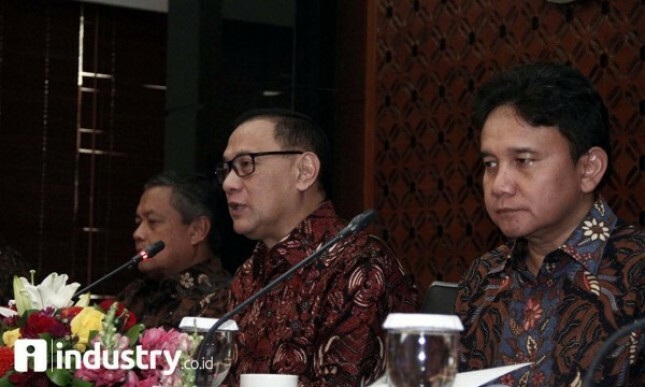 INDUSTRY.co.id - Jakarta - Bank Indonesia urges SOE corporations to improve the prudential principle of foreign currency debt by increasing the hedging ratio so that foreign exchange losses can be minimized. "There is a ministerial regulation of SOEs regarding the hedging principles of the principle and efficient to avoid the risk of exchange rates, because at the time of this dynamic exchange rate can put pressure on risk to SOEs," said BI Governor Agus Martowardojo in Jakarta, Friday (27 / 4/2018). The rupiah exchange rate during April 2018, Agus said, has weakened to 0.88 percent (month to date / mtd) triggered by foreign capital outflows due to US Treasury bond yields rise to three percent, and momentum on second-rate increases US Federal Reserve in June 2018. In the midst of the stressful nature of the rupiah exchange rate, said Agus, SOE corporations need to improve their mitigation on the impact of foreign exchange differences on foreign debt withdrawals. This is so that the value of foreign currency debt is not boosted up when maturing and ultimately burden the company's performance. Based on central bank regulation No. 16/21 / PBI / 2014, corporations in Indonesia are required to hedge minimum 25 percent of total foreign currency liabilities for 3-6 months prior to maturity. No Dollar The Central Bank also appealed to state-owned corporations that have foreign exchange needs, in order to be able to buy US dollars in the market as required today. Thus the demand for US dollars in the market does not increase so that SOEs can help maintain the stability of the rupiah exchange rate. SOEs are also advised not to purchase large amounts of foreign exchange in the spot market. "It may be due in September, November or December, if we do not have to exchange foreign currencies now, that are all we coordinate," he said. "It can also be done by way of 'forward' or if in case of need be made an adjustment," he added. Agus said coordination with the SOE Ministry and SOE Corporation and the Financial Services Authority has so far been running well. The rupiah exchange rate during April 2018 has weakened to 0.88 percent (month to date / mtd). The weakening of Garuda's currency values ​​touched the most severe level of the year in the range of Rp13,900. on Friday (21/4) and Monday (24/4), but returned to strengthen on Tuesday (25/4) after BI announced a sizeable intervention.